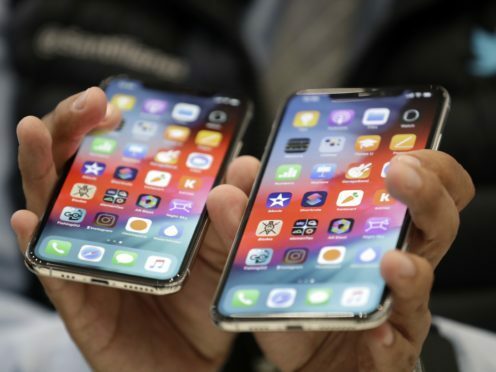 Apple’s new line-up of iPhones have been given the seal of approval by industry experts, despite some admitting only minor improvements had been made on last year’s iPhone X.
Ben Wood, chief of research at analyst firm CCS Insight, said the iPhone XS Max was the pick of the announcements, the largest and most expensive iPhone Apple has ever made. “The iPhone X S Max is undoubtedly the star of the show,” he said. “It builds on the success of the iPhone X and offers one of the biggest displays on the market, but in a design that doesn’t look as though you have a giant 6.5-inch screen in your hand. Ru Bhikha, mobiles expert at uSwitch, said Apple was clearly trying to expand its horizons by offering more choice to consumers. “In this year’s bumper launch, its trio of iPhone handsets builds on the success of the iPhone X by branching out to the enthusiasts with the XS Max while also experimenting with new colours in the XR to reach a more cost-conscious crowd,” he said. James Brown, director of gadget insurance provider Protect Your Bubble, added: “While Apple isn’t reinventing the wheel with these handsets, they have taken the most innovative and exciting aspects of the original iPhone X and made them accessible to Apple enthusiasts at all ends of the spectrum.